"SERVICED" - We offer fully furnished corporate and holiday rentals including linen and towels. There is no daily housekeeping. Within walking distance to Darling Street, you will find a range of different restaurants, bars, cafes, bookshops, playgrounds and activities for the kids and a local Australian Woolworths grocery store. Other necessary shops are also found surrounding the heart of this inner west suburb. Balmain is a family friendly suburb with a number of parks which are all accessible by bus and ferry from Sydney’s CBD. This one bedroom apartment comes complete with towels and linen that are needed, modern elegant furniture, modern fittings and fixtures including washing machine and air conditioning. The contemporary kitchen is fully stocked with all pans, utensils and crockery in addition to dishwasher, microwave, fridge freezer. The apartment is connected to broadband internet which allows you to access the internet on multiple devices for all of the family. You can access your list at any time here. When you are ready to submit your enquiry list simply go to your list and fillout a few personal details and submit. Feel free to add more properties to your list now. Furnished Properties Pty Ltd is a Sydney based accommodation provider for the corporate and holiday travel market in search of furnished apartments in Sydney for both long and short term bookings. Many people across the country are discovering that serviced apartments in Sydney offer a rewarding experience during short- or long-term stays. Students, families, tourists and business travellers all enjoy the many benefits of serviced apartments. Short term corporate accommodation in Sydney can be the ideal solution for businesses that are relocating employees or have specific business travel needs. Unlike hotels and extended stay accommodations, corporate apartments offer plenty of space, reasonable prices, more personalised services and accommodations that are specifically designed for longer-term stays. If you are travelling to Sydney, Australia, you most likely have a distinct idea of how you want your holiday to go. Whether you plan to spend your time relaxing on a quiet beach, partying all night or exploring the history of the city, you can find activities to keep you busy every minute of the day. Does Sydney Have Cool Clubbing Options? Sydney offers a variety of cool clubbing options for just about every taste and style. Depending upon age, entertainment value or dress code, the options are virtually limitless. Starting with one of Sydney’s most popular night spots, we are reminded that there is indeed no place like Home. Australia is one of the most beautiful and culturally and naturally diverse countries in the world, filled with burgeoning coastal cities, sun-kissed beaches, wild bush lands, and lush rainforests. The cost of living is low, while the standard of living is high. Attitudes are relaxed and easygoing, and property in Australia is affordable. Whether you are immigrating to Australia for work, education, or personal reasons, you will find the country both welcoming and accommodating. People come to Sydney for many reasons. Sometimes they are just passing through on their way to other parts of Australia, and sometimes they are sightseeing. They may be visiting this remarkable harbour city on either business or holiday. Many of those who come to Sydney for long-term visits realize the value in short term furnished accommodation in Sydney. Although there are several bays, coves, and harbours throughout Sydney, Darling Harbour is one of Australia's top destinations and a spot travellers won't want to miss. The harbour is bustling with fun attractions and plenty of places to eat and stay. The following information details the rich history of Darling harbour, top attractions to experience while visiting, and great restaurants and hotels and accommodations to enjoy. 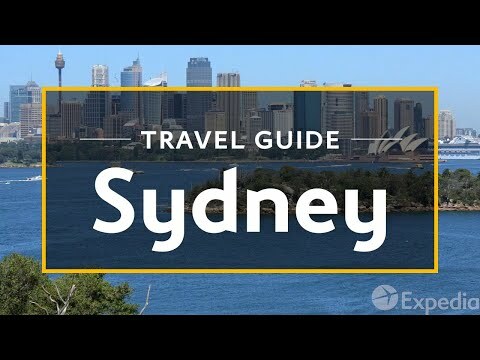 Find video and up to date information including the history, distance and transport options to Sydney CBD and things to do in your chosen location or suburb when renting a furnished apartment with Furnished Properties. The city of Sydney is a sprawling metropolis and with a population of 4.576 million, there are many locations to choose from when searching for your self-catering accommodation for either a long term or short term rental. If you are travelling to Sydney on business or with your family either relocating or on holidays, finding the right location in Sydney for your needs is of high importance. The corporate traveller may want a one or two bedroom furnished apartment in Sydney CBD, whilst the family on vacation would prefer the leafy suburbs of the Hills District and a four bedroom house. Your search for the most suitable furnished accommodation in Sydney is made easy with the help of a map detailing all the locations Furnished Properties rent their apartments.